Welcome to Mary Immaculate Catholic Primary School, a K-6, three streamed, co-educational school that was established in 1985. It is situated in Bossley Park in the southwest of Sydney between Fairfield and Liverpool, minutes from the Wetherill Park Station of the Parramatta-Liverpool Transitway bus station. Our School recognises that Jesus is central to our lives and we are committed to promoting Gospel values in everyday life. It is part of a Faith Community which has been directed by the efforts and guidance of diocesan priests and sisters of the Dominican Congregation. The motivation for all has been the desire to translate the Gospel message into daily reality, which is reflected in the Faith Community motto Striving To Be “A Loving, Caring Christian Community". Through the generous and faith-filled support of parents, and the talents of the dedicated staff of Catholic teachers, the school provides a teaching environment that is committed to excellence and permeated by Christian Values. At the school we will strive to support your efforts by providing a challenging Catholic education. It is vital that the school complements the home in the education of your child. The staff asks for your co-operation and support in the work they carry out as your delegates. As Catholic educators, the teachers strive to support your efforts by providing a stimulating environment for your child's education. May Mary, our Patroness and Mother, be with us all as she was with her Son during His formative years. Let us work together to make a difference and shape the future for the children. 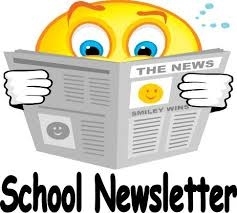 Newsletter: Term 1 Week 10 Please see attached our Term 1, Week 10 School Newsletter.